Clint Hunter serves WAXIE as the Executive Vice President of the Intermountain branches. Clint focuses his efforts on overseeing the strategic direction, including all aspects of operations and sales for the Utah, Idaho, Nevada and Arizona branches. A graduate from Brigham Young University in Communications. Clint grew up in Shelley, Idaho and graduated from Shelley High School. He served a two year mission for the LDS Church in Texas. In 1973, after college graduation Clint was commissioned an Officer in the United States Army. He served on active duty for four years and on active reserve for three more years, reaching the rank of Captain. In 1977 he began a career in sales and marketing at Mobil Chemical Company until 1980. Clint’s WAXIE journey started as a District Sales Manager in October 1980. He was quickly promoted to Regional Sales Manager and in 1984 was promoted to Vice President of Sales for San Diego. 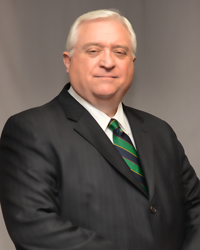 He moved to Utah in 1990 as President/GM of Intermountain and oversaw the new branches in Arizona and Nevada. In 1998 in conjunction with changes in Executive structure was the Vice President/General Manager Intermountain and oversaw the start-up of Colorado. In 2002 Clint was made Executive Vice President and oversaw the strategic direct, operations, and sales for Utah/Idaho, Nevada, Arizona, and Colorado. The Pacific Northwest was then added with a start up in Portland and a later acquisition that included Washington and Alaska. This branch portfolio was all of his responsibility until changes in April 2018 that resulted in his current responsibilities as Executive Vice President of the Intermountain branches. Clint is actively involved in his community. He has held a variety of leadership positions in the LDS Church. Was on the Board of Directors for NAMI (National Alliance for Mental Illness) of Utah. He has served as President and President Elect of the Salt Lake Chapter and on the Board of Directions for the BYU Cougar Club. He is currently a member of the National Speakers Association.